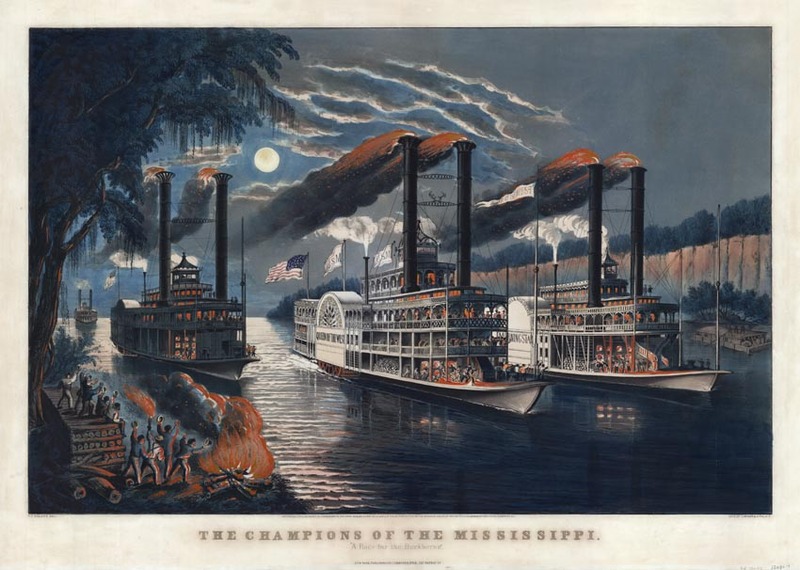 THE CHAMPIONS OF THE MISSISSIPPI. 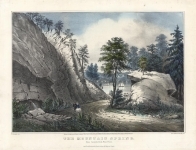 : "A RACE FOR THE BUCKHORNS." 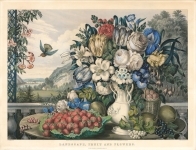 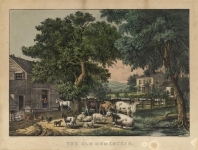 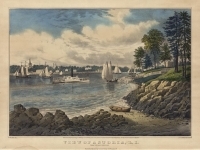 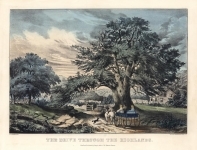 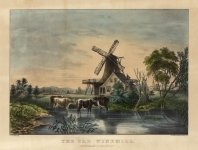 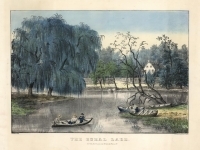 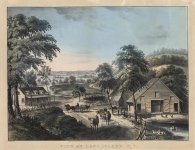 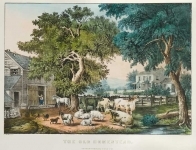 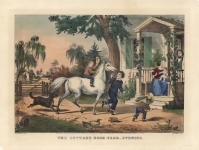 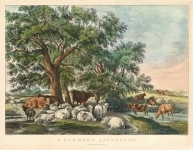 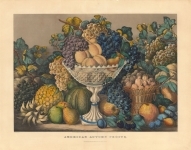 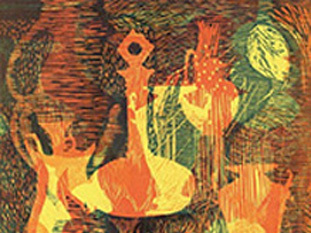 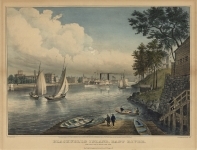 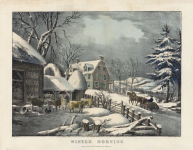 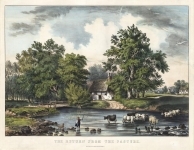 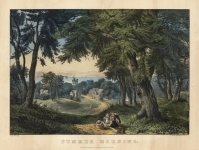 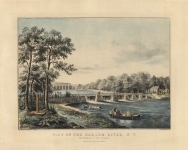 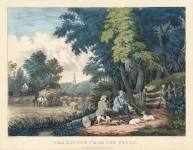 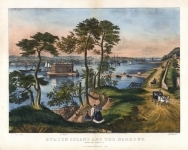 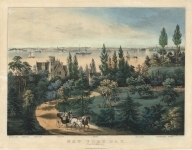 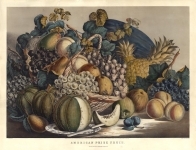 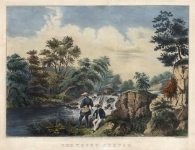 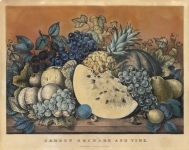 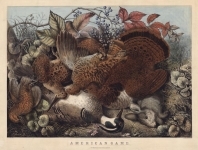 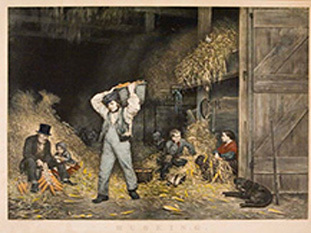 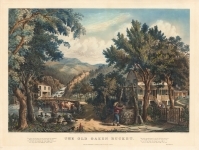 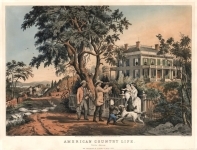 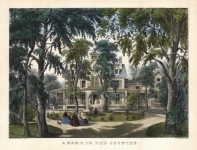 Two-color lithograph with handcoloring, 1866. 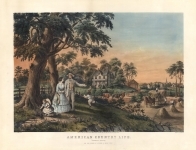 Large folio - image size 18 1/8 x 27 5/8" (46.2 x 70.2 cm).